Do you love Great Pyrenees dogs? So do we! In our pet store, we offer dog decor and gifts for pet lovers, featuring the Great Pyrenees dog breed. 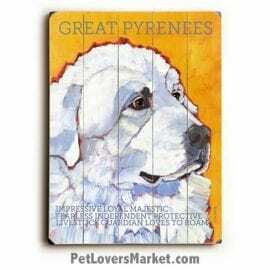 View our collection of Great Pyrenees pictures, Great Pyrenees art, and Great Pyrenees gifts. 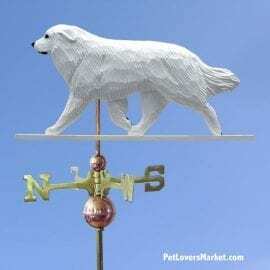 We offer dog pictures, dog paintings, dog weathervanes with the Great Pyrenees dog breed. Celebrate your love for dogs with Great Pyrenees art and decor.